The Archdiocese of Omaha will leverage its most popular annual event to raise scholarship funds for low-income students to attend Catholic schools. The 38th Annual Archbishop’s Dinner for Education will take place at the Embassy Suites-La Vista, Thursday, September 17, 2015. The dinner recognizes teachers and administrators in the Catholic school system. Nearly 1,000 people attend the dinner each year. Ticket proceeds and a financial match from the Children Scholarship Fund of New York help offset tuition for families in need. 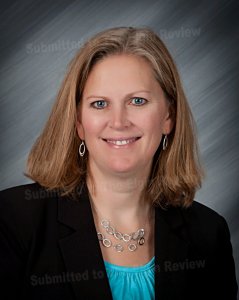 Among those to be honored at the Dinner will be Petersburg’s Lisa Schumacher as “Administrator of the Year.” Schumacher serves as principal at St. Michael Elementary School in Albion. Also receiving a similar award was Chris Segrell of Christ the King Elementary School in Albion. Chairpersons for this year’s dinner are Janet and Tom Nichting. The honor chairpersons are Mary Lou and Charlie Diers. The evening will begin with a social hour at 6 p.m. followed by dinner and a brief program at 7 p.m. Tickets for the event are $125. For more information or to purchase tickets online, go to give.archomaha.org/dinner2015, or contact Janet Griffin at 402-827-3764, jmgriffin@archomaha.org.